Shop SMART with us and create change! 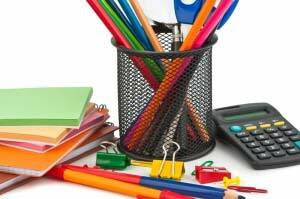 You can buy office supplies anywhere, so why buy from us? 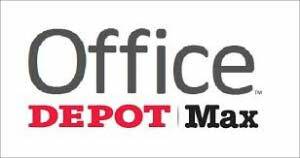 OutSmart Office Solutions is a “Tier One Supplier Diversity Partner” of Office Depot/Max. This creates an opportunity for you our valued clients to support important changes in the world with your spending power. Support Diversity & the “Equality Economy” by procuring needed items from a certified small, woman & LGBT owned business; that contributes back to our local communities and creates local jobs! Merge the best of both worlds by getting the great prices and product assortment that you want from the big box stores with the customer service that you expect from a smaller personable company! Achieve Supplier Diversity Goals! For Corporations and clients with large corporate or government contracts, buying through us gives you MWDVE, Tier One and Tier Two Purchasing Diversity Spend Credits toward your diversity procurement goals and/or contract compliance! Reduce your environmental impact by shopping from one of the world’s largest selections of green products. Our shopping system will tell you if there is a greener alternative to the item you were thinking of purchasing. Thank Office Depot/Max for creating partnerships for change with a big impact. Their amazing diversity and inclusion policies, 100% HRC Corporate Equality Index Score, and mentor/protégé program helps small businesses like ours grow and flourish!